Rev. Stephen Walters, M.Div., M.A. The Summit Counseling Center » Rev. Stephen Walters, M.Div., M.A. 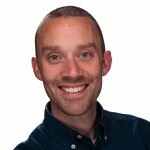 Stephen Walters is a Staff Associate Therapist who graduated from Richmont Graduate University with a Master of Arts in Clinical Mental Health Counseling, focused on the integration of psychology and Christianity. From 2000 through 2016, Stephen worked in the local church, before beginning his counseling program in 2016. Stephen has a B.S. in Psychology from the University of Georgia, and a Master of Divinity degree from Emory University. Stephen is also an Ordained Elder in the United Methodist Church. In the summer of 2017, Stephen began seeing clients at The Summit. Stephen sees individuals, couples, and families. He is obtaining a certification in Trauma Counseling through Richmont and is a Gottman Couples Therapy Level 1 trained counselor. Stephen specializes in trauma, anxiety disorders, career and future concerns, spiritual struggles, and relationships. He has extensive experience in premarital counseling as well as grief processing. Stephen was born in Atlanta and has grown up in the metro-Atlanta area. Stephen is married and has two sons. He enjoys music, sports, and coffee.